WHY is it that despite more than 150 years of effort there is still no scientific agreement on even the nature of human aging? Is aging the result of fundamental limitations that could not be overcome by the evolution process, or a consequence of the lack of an evolutionary need for our ancestors to live longer, or the result of our possessing an aging program or biological suicide mechanism because populations of our ancestors received an evolutionary benefit from limiting individual lifespan? 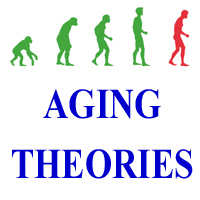 Many non-science factors act to bias thinking about aging and aging theories, mainly toward fundamental limitation theories or more recent non-programmed aging theories even though empirical evidence favors programmed aging theories. This is one of the reasons that no wide scientific agreement on even the nature of aging (much less details) exists today or is likely in the near future. Most people are trained to believe Darwin’s individual-oriented evolutionary mechanics concept, which does not support more recent population-oriented evolutionary mechanics concepts and dependent modern programmed and non-programmed aging theories. Therefore they are, in effect, trained to believe in fundamental limitation theories. This logically leads to the idea that altering human aging is impossible. Very few of these people go on to obtain training in modern evolutionary mechanics concepts and dependent aging theories. Although modern non-programmed aging theories also conflict with traditional evolution theory, they do not present the gross and diametrically opposed conflict associated with programmed theories. The public is also accustomed to extravagant claims regarding discoveries and developments in medicine. People who think that altering aging is impossible would logically be against funding research into anti-aging medicine or possibly even in studying aging on the basis that funds and other resources would be wasted. This situation also decreases motivation into studying age-related diseases and conditions. If aging is the result of fundamental limitations isn’t our ability to treat highly age-related diseases likely to be severely limited? Try comparing government funding of research on aging and age-related diseases to the defense budget. Now compare the death rates from age-related diseases to those resulting from enemy attack! We could ask the following question: Would funding for research into aging and age-related diseases increase if it was widely thought that aging, per se, was a treatable condition? Proponents of fundamental limitation and non-programmed theories have, until recently, been able to dismiss programmed aging theories as non-scientific (and similar to anti-science proposals about evolution such as creationism and intelligent design) because of the conflict with traditional evolutionary mechanics. Efforts to teach evolution, especially in more introductory venues like K-12 biology classes, would like to avoid any indication that there is any scientific disagreement regarding evolution theory and thus avoid giving support to the anti-science effort. This contributes to avoiding any mention of scientific disagreements about evolutionary mechanics or specific modern evolutionary mechanics theories. Funding for medical research tends to be rather flat (after inflation) on a year-to-year basis. Consequently, funding for new areas of research (like programmed aging or anti-aging medicine) must come from reducing funding to existing research avenues. Those researchers can be expected to fight fiercely against the new activities. Some senior bioscientists have a major public and long-term, even career, commitment to the older non-programmed theories. Such a person might well suspect that they are now betting on the wrong horse. However, for such a person to switch now would in many cases be like an Episcopal Bishop deciding to start over as an entry-level Methodist minister – possible but extremely unlikely. The fact that humans only live for a certain period is one of the most central and seemingly unalterable aspects of human existence and has profound ethical and policy implications. What happens to annuities, health insurance, pensions, social security, and Medicare if people start living significantly longer? What about the need for term limits for elected and life-time-appointed government officials? How do we increase retirement age? Would wealth imbalance increase? Many have ethical concerns with altering aspects of human design that are “normal.” Most people would consider it unethical to genetically engineer humans to be taller, stronger, or more intelligent. It is certainly acceptable to the vast majority to attempt to treat or even cure cancer, heart disease, or other massively age-related disease because these conditions are not “normal” in that they do not occur in everybody. A very small part of the population does consider trying to treat cancer or other serious disease as interfering with God’s will and therefore sinful. However, the more or less universal aspects of aging are certainly “normal” including “dying of old age.” Would it therefore be ethical to try to treat aging, per se? Worse yet, programmed aging theories suggest that humans possess an evolved suicide mechanism that limits their lifespans and that they are consequently designed to age. Aging is a feature of an organism’s design (like height) and not a defect (like a disease or injury). On the other hand, just as it is obvious that different species age at very different rates, it is widely agreed that the aggressiveness of senescence, per se, varies substantially between individual humans. Therefore if a person inherited relatively aggressive senescence, should that person be able to seek medical aid to delay his senescence in such a way as to be able to enjoy a “normal” lifespan? Extending this idea, should we all be able to ethically enjoy the internally-determined lifespan seen by the longest-lived humans? Many are concerned with medical advances that might extend the “nursing home stage” of life and favor advances that increase the “healthy” stage and decrease the nursing home stage. Because they are concerned with the policy, ethics, and religious issues, some are against development of medical technology that would “extend normal lifespan” and are consequently against research in directions that might support lifespan extension – including programmed aging research, and even possibly including research as to the nature of aging such as initiatives specifically designed to determine if aging is programmed or not programmed. Some consider that because aging is a natural and normal aspect of human existence it is not a proper subject for medical research and medicine should be confined to treating dysfunction. My conversations with thoughtful members of the general public indicate that there is substantial concern over these issues. Informal polling suggests that more than half of the U.S. population has at least some ethics, moral, or policy issues with research into lifespan extension or altering aging. There is no doubt that senescence is surrounded by serious health policy, ethical, and religious issues. However, in my opinion it does not make logical sense to spend billions on research into treating massively age-related diseases without understanding aging and that doing so amounts to a “fool’s errand.” How can we hope to understand and best treat such a disease without understanding aging? If the majority of deaths due to highly age-related diseases (even in 40-year-olds) are caused by aging, how can we ignore aging in devising treatments for these diseases? Senescence is what it is. Ignoring scientific evidence pointing toward a certain conclusion regarding aging mechanisms is like ignoring global warming or ignoring all the evidence that the Earth orbits the sun. Average human lifespans have substantially increased in the last century and few would really like to return to a much earlier age. Is it likely that there is going to be such a sudden and large increase in human lifespan that there would be huge social upheaval as a result? Conclusion: A substantial portion of the U.S. population has issues with research into interfering with human biological aging mechanisms because they think such interference is impossible or because of ethical, religious, or policy issues. These attitudes obviously impact funding and support for research into aging and age-related diseases.